Some people look up at the sky and see creatures in the clouds. In ever-sunny San Diego, head down is best view, if for no other reason than doggie do-do rudely left behind. What else awaits there? 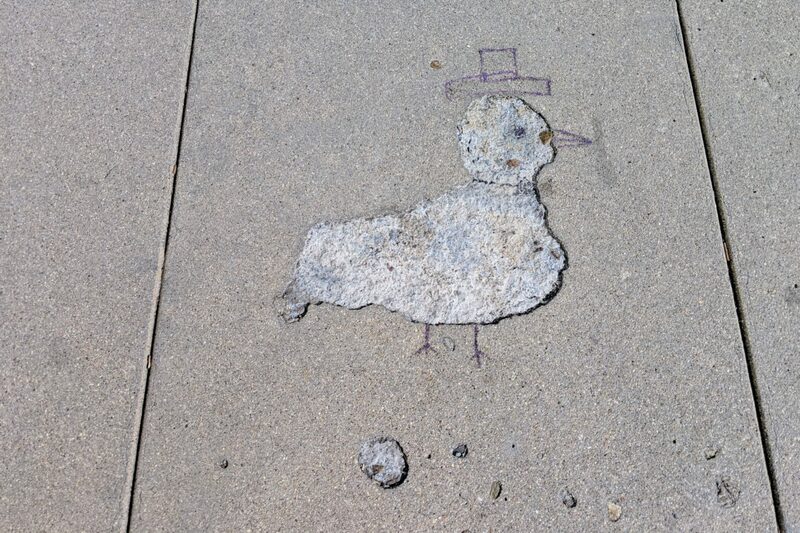 Some other passerby imagined a bird in the broken cement and added just the right flourishes so that unimaginative folks like me would see, too—and be amused. I shot the Featured Image along Adams Avenue between Arizona and Hamilton in the North Park neighborhood, using Google Pixel 3. Vitals: f/1.8, ISO 63, 1/3906 sec, 4.44mm; 1:36 p.m., Jan. 11, 2019.